Learn how to get approved as an official recruiter partner. Discover the benefits and reasons for joining the recruiter network. Learn how to invite candidates to MoBerries using your personal URL and take advantage of high-demand job suggestions. Candidate profiles will appear on your dashboard. We match them to the open positions and reward you for every hire. 1. Head over to https://recruiter.moberries.com/signup and fill in your information. 2. You will receive your sign-up confirmation through email. MoBerries team will review your request. 3. When MoBerries team accepts your sign-up, you will receive the second email with a link to activate your account. 4. You are now ready to invite candidates to join your Recruiter Network! We give you the opportunity to focus on what you do best—sourcing top quality candidates in your field of specialty. Instead of spending time cold calling, negotiating contracts, getting on vendor lists and collecting fees, you can spend your time sourcing more candidates by working with us. Create your own candidate pool and manage profiles easily online on our platform. Follow the application progress and receive updates about a candidate accepting an offer, getting invited for an interview etc. Automatically get paid after a successful hire and completed candidate probation period. Use the power of our neural network based candidate - job matching algorithm to satisfy your customers. No need to look for companies and try to find a contact with HR managers. We solve it for you. You retain the ownership of the candidate profile for 12 months after you submit the candidate. 1. You will need your personal referral URL to invite candidates. You can find it in your Dashboard. 2. Copy the URL and send it to potential candidates. Once they accept the invitation and create a MoBerries profile, you will be able to see them on your Dashboard and in the Candidates tab. Note that the candidate needs to sign up by clicking on your unique URL. It is not possible to refer / recommend a candidate who is already registered on the platform. You can also browse High-Demand Job Positions to learn about the current market trends. Click on the Job Positions tab and select the category you are interested in providing candidates for. You will see details of the jobs as well as related hiring fees. We offer this functionality to help guide you and streamline your candidate sourcing. You can see which industry is looking for candidates and what are the hiring fees. Results are updated in real time, giving you a detailed overview of the market dynamics. You can see which candidates are in high-demand and build your network accordingly. CANDIDATE SIGN-UP: Candidates fill out the sign-up form and receive access to the MoBerries network. They set-up a profile and upload their CV. Our AI does the rest—candidates are matched to appropriate job positions in real time. 1. Head over to the Candidates tab and click on Details on a selected candidate to access the overview. 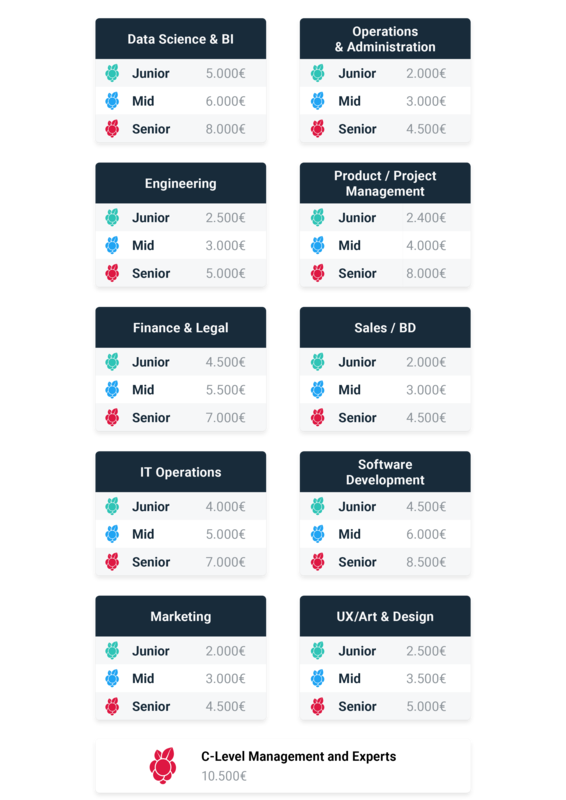 Matches - Overview of the jobs the candidate matched with, featuring the hiring fee for the company. You get rewarded for each hired candidate with 70% of their hiring fee. PAYMENTS: We offer our partner companies a 40-day warranty period, meaning that recruiters are being paid within 40 days after their candidate's starting date.